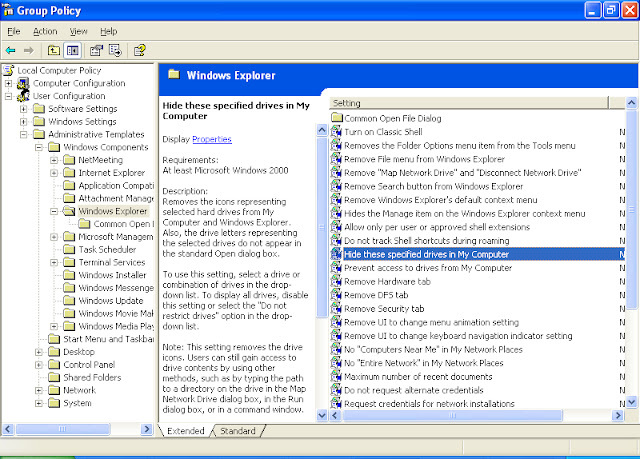 Group Policy is a feature of the Microsoft Windows NT family of operating systems. 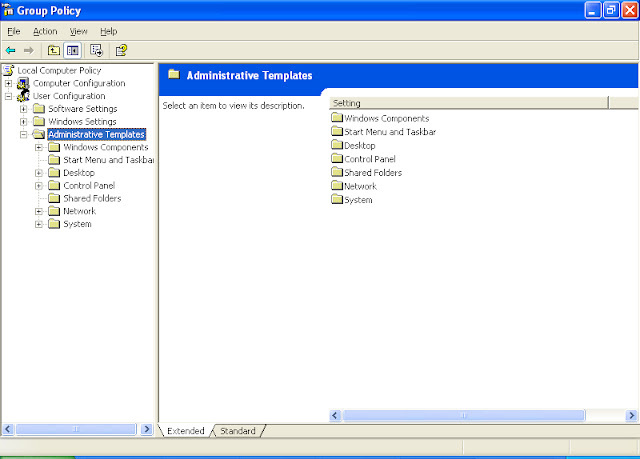 Group Policy is a set of rules which control the working environment of user accounts and computer accounts. 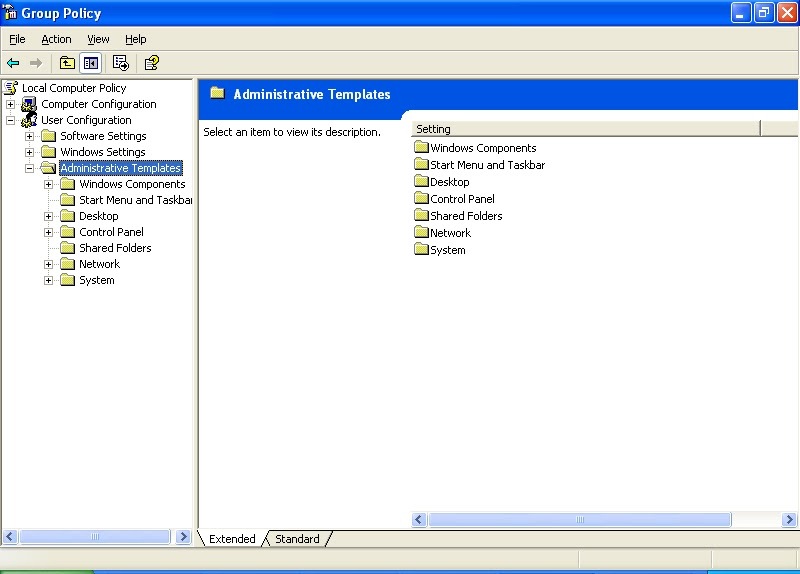 Group Policy provides the centralized management and configuration of operating systems, applications and users' settings in an Active Directory environment. 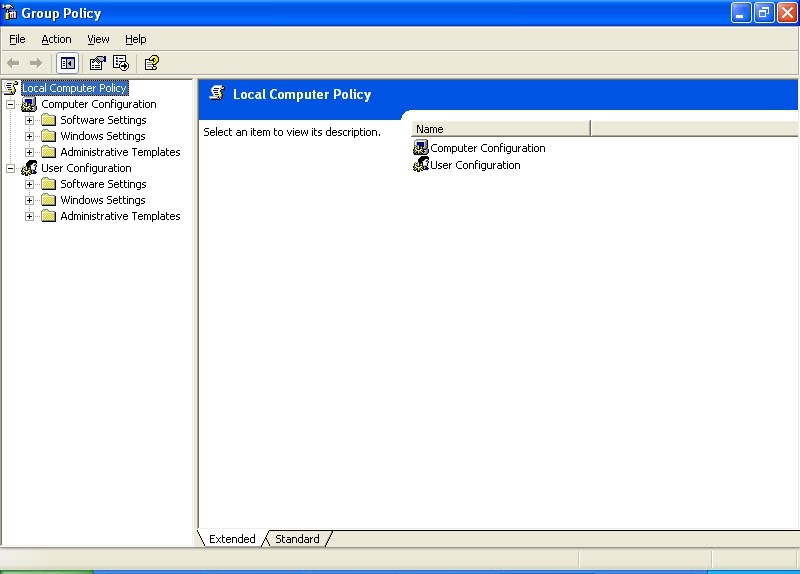 In other words, Group Policy in part controls what users can and can't do on a computer system. Although Group Policy is more often seen in use for enterprise environments, it is also common in schools, smaller businesses and other kinds of smaller organizations. Group Policy is often used to restrict certain actions that may pose potential security risks, for example: to block access to the Task Manager, restrict access to certain folders, disable the downloading of executable files and so on. 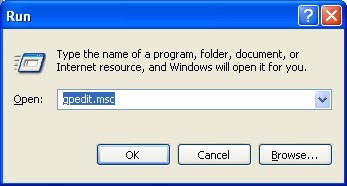 Step 5 : Now double click it, You'll get a window like as follow. 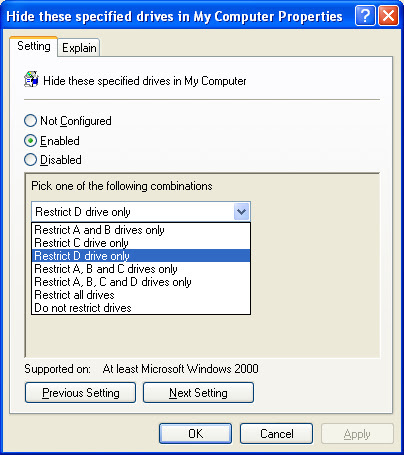 Here, First you want to click Enabled radio button, Then want to choose drive want to hide. That's all. Now click ok and check you My Computer.